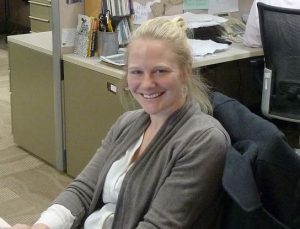 Kaye is an alumna of Michigan Tech’s environmental engineering program. She got her start making maps for the Traverse City-based water news organization Circle of Blue, and, since then, she has been devoted to science communication and data visualization. Kaye has created info-graphics for a variety of organizations, including government science agencies, universities, and nonprofits. She lives in East Jordan, Michigan with her husband and fur children. East Jordan is in fact about 4 hours north of Ann Arbor. She does a lot of working from home and makes bi-monthly trips downstate. She enjoys living in rural northern Michigan, and spends her free time running, kayaking, drinking wine, and spending time with her four kids.